5 Gallon Summit Aux tank. 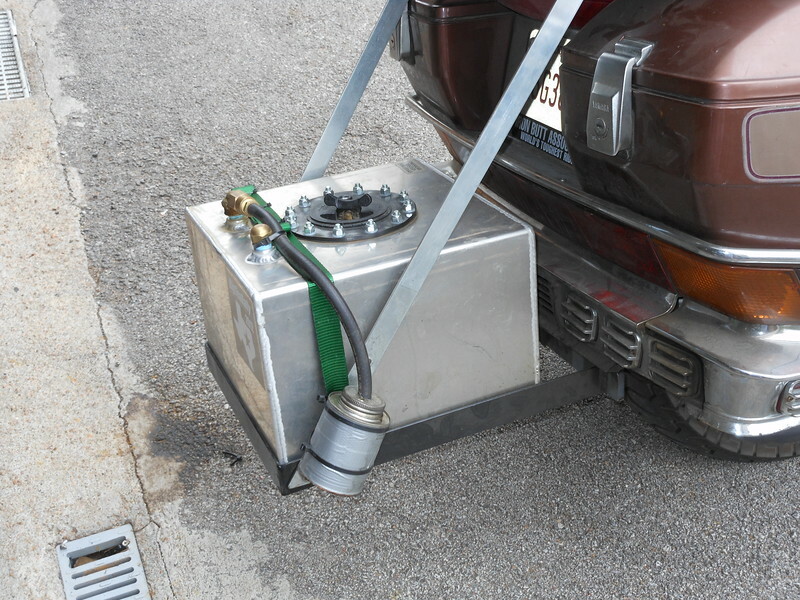 Fuel is fed by an Airtex pump through a check valve and into the line between the gas tank and the OEM fuel pump. Fills the main tank in about 5 minutes.